Every Sira system will be supplied with conformity declaration, ensuring to be compliant to project requisitions and laws in force. We are always looking to customer satisfaction as a critical objective to pursue. 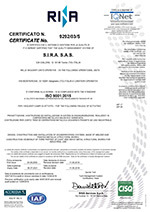 Since long, Sira achieved ISO 9001:2008 e ISO 14001:2004 certifications. 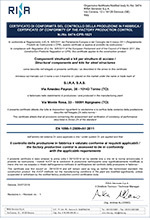 Last but not least we came to welding processes and welders certifications, in conformity to ASME IX parameters. 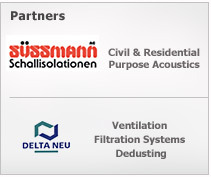 RINA Certificates validity may be verified on RINA official website www.rina.org through certified Companies list.